Looking to have financial success roar into your life like a Lion in March? Has paying a bundle to the tax man got you down? Perhaps you could use a little boost from the cosmos when it comes to picking your lottery numbers. Here is a look at what days are best for each sign to play the lottery throughout the month of March. March 1st: Venus sextiles Uranus in Capricorn and Pisces. This is double lucky for Taurus and Aquarius natives as Venus is also in Aquarius. It is also very lucky for gamblers born under the signs of Libra, Capricorns, Cancers, Virgos and Pisces. March 2nd: Mercury clashes with Saturn. Nobody should bother playing the lottery today except for maybe Aquarians and Taurus natives. March 3rd: Mars in Pisces sextiles Pluto in Capricorn. This is lucky for Pisces, Aries, Scorpio, Virgo and Capricorn players. However it is luckiest for the sign of Pisces as Mars in your sign invigorates luck. March 4th: This day is luckiest for Pisces natives who are favored by the Sun’s influence and the moon which is also in Pisces. It is also lucky for the water signs of Cancer and Scorpio. March 5th: This day is luckiest for Pisces who are favored by the Sun’s influence. The moon also favors the luck of Aries natives. March 6th: This day is luckiest for Pisces who are favored by the Sun’s influence. The moon still favors the luck of Aries natives. March 7th: Another day that is luckiest for Pisces as the Sun is in their sign. It may also be lucky for Cancer and Scorpio. March 8th: Another day that is luckiest for Pisces thanks to the Sun in Pisces. After noon the moon favors the luck of Taurus natives as well. March 9th: A day that is luckiest for Pisces and Gemini thanks to the influence of the planet Mercury. March 10th: Venus combines with Aries to make this day lucky for Taurus, Gemini, Aquarius and Aries. March11th: Uranus in the sign of Aries makes this day lucky for Aries, Leo and Sagittarius. March 12th: This day is luckiest for Pisces natives thanks to the sun in their sign. The moon in Gemini makes this a lucky gambling day for the sign of Gemini as well. March 13th: This is not really lucky for any signs thanks to Pluto clashing with Mercury. However Cancer natives may be the luckiest thanks to the influence of the moon in their sign in the afternoon onwards. March 14th: Mars clashes with Saturn not making this day especially lucky for anyone except for Cancers who still have the moon ruling their sign. March 15th: This day is very lucky for Aries natives that have Mercury and Jupiter ruling their sign. It is also lucky for Leos and Sagittarians. March 16th: This day is luckiest for Pisces natives who have the sun in their sign. The moon favors the luck of the Lion today as well. March 17th: This day is luckiest for Pisces natives who are favored by the sun in their sign. After 5 pm the moon favors the luck of Virgos. March 18th: This day features a clash between Mercury and Saturn so is not particularly lucky for any sign. Virgos may be favored by the moon and be a little luckier than other signs. March 19th: The sun in Pisces favors the luck of the water signs including Pisces, Cancer and Scorpio. March 20th: This day is triple lucky for Aries natives as it is the Equinox and the Sun enters Aries. 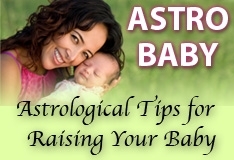 It is also a lucky day to play the lottery for the signs of Leo and Sagittarius. March 21st: The Sun in Aries favors the luck of Aries and other fire signs such as Leo and Sagittarius. March 22nd: The Sun in Aries favors the luck of fire signs including Aries, Leo and Sagittarius. After 4 pm the luck of Scorpios is also favored thanks to the moon in Scorpio. March 23rd: The luck of the fire signs is favored again today including Aries, Leo and Sagittarius. Sagittarians are double lucky because they also have the moon in their sign. March 24th: Luck once again favors the fire signs thanks to the sun in Aries. Leo and Sagittarius should also play the lottery. Once again Archers are double lucky today as they are favored by both the sun and moon’s influence. March 25th: This is yet another day when the luck of fires signs is favored including Aries, Leo and Sagittarius. The moon in Capricorn favors the luck of Goats as well. March 26th: Both Venus and Neptune make a nice angle in the sign of Aquarius today making it the luckiest sign in the Zodiac. Gemini and Libra are also lucky lottery players today. March 27th: Venus in the sign of Pisces favors the luck of Pisces, Cancer and Scorpio today. March 28th: No sign is particularly lucky today thanks to the Sun squaring Pluto. However the sign of Aquarius is a bit luckier because the moon is in their sign. March 29th: No sign is particularly lucky today thanks to a clash between Jupiter and Saturn. However Aquarians may be slightly luckier after 7 a.m. as a moon in Aquarius gives them a bit of a lucky boost. March 30th. No sign is particularly lucky today thank to Mercury retrograde in Aries. However the sign of Pisces has the best chance of winning the lottery today thanks to a kind influence from the moon. could somebody tell me what was said about signs in march..i just get a little confuse when they talk like that..i dont know what they saying...it is mumble.and jumble to me...whatever it means it sounds good.